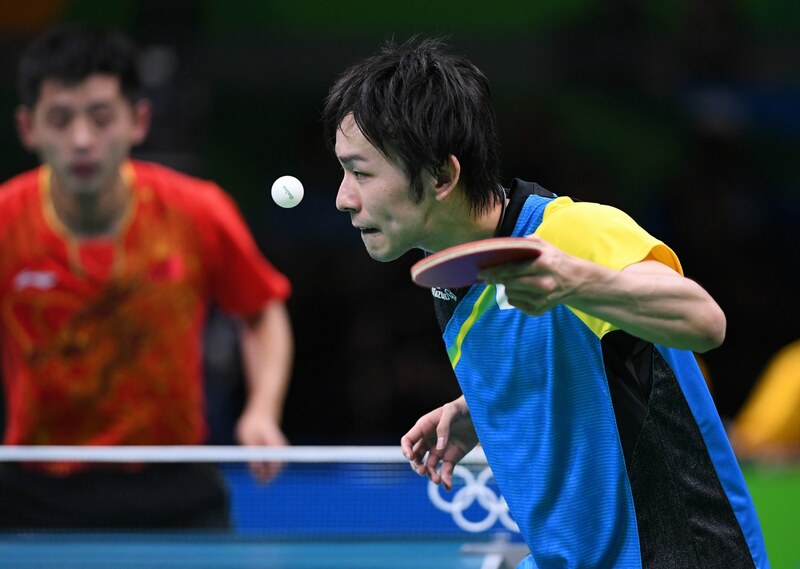 The Olympic Singles competition is now in its penultimate stage and anticipation is rising on the men’s division, more specifically on the upcoming match between Zhang Jike and Vladimir Samsonov, after all the memory from the London Olympic Games still lingers. Although the 40-year old Samsonov has been reported to have a serious injury, Zhang Jike can’t dare to relax on the idea. These were the words that Liu Guoliang said after Zhang Jike lost the first game in his quarterfinal match against Koki Niwa. Zhang Jike then returned into the arena awake. Starting in the second game, there was better control and momentum was established. This eventually limited the opportunities for the Japanese opponent. In the end, Zhang Jike sealed a 4-1 victory (5-11, 11-4, 11-7, 11-7, 11-4) into the semifinals where he will encounter another familiar adversary, the Belarusian veteran Vladimir Samsonov. This match can definitely be really interesting. 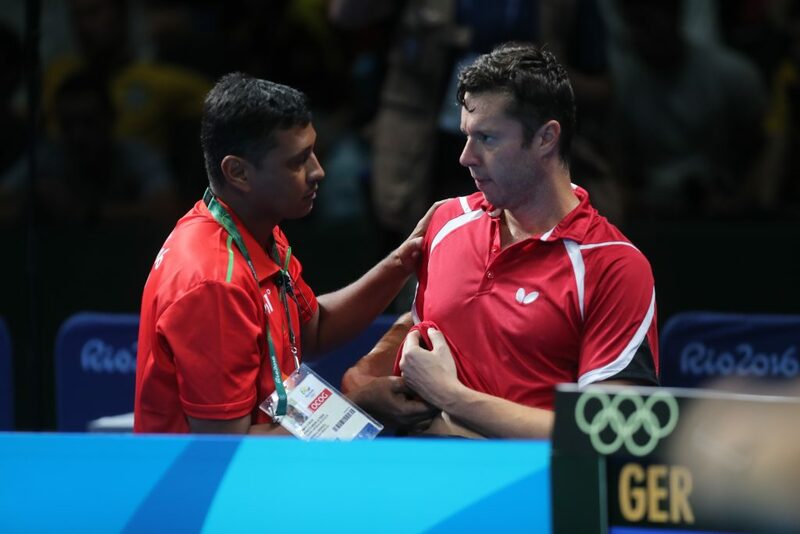 Four years ago in the London Olympic Games, Vladimir Samsonov placed the Chinese camp into the edge of their seats after he gave Zhang Jike probably the hardest time he had in that competition. Samsonov was in a 3-2 lead before Zhang Jike snapped back to his senses and concluded his round of 16 match in a 4-3 win. That memory definitely still lingers for the Chinese Team. “Actually, playing against him is difficult,” said the 28-year old Zhang Jike. Before the Games started, Samsonov was already very optimistic against the Chinese Team, especially against Zhang Jike. He said that he might meet Zhang Jike in the semis and Ma Long in the finals. “Under normal circumstances, I can play much better against Zhang Jike,” he added. This goal, however, might be a little challenging this time for the 40-year old athlete after he encountered a serious rib injury during his quarterfinal match against Dimitrij Ovtcharov. He hopes that his injury would not affect his performance against Zhang Jike later. Hearing the news, Zhang Jike and the Chinese camp won’t dare to let their guards down. “Every opponent at this point in the competition is strong. Everyone is the same. Anything can actually happen in the Olympic Games. I need to have preparations in all aspects,” concluded Zhang Jike.